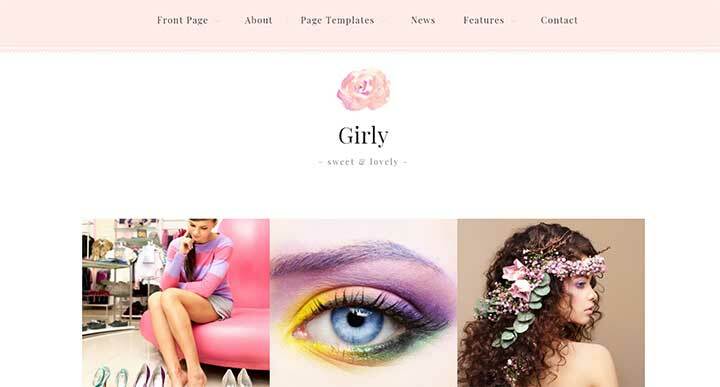 Are you looking for a feminine WordPress theme? Here’s a collection of some of the most attractive and feature-rich themes that are responsive across all modern browsers and devices. Each of these themes is packed with the latest feature so that your website does not have to compromise on any functionality. So let’s have a quick look at them. As the name goes, Feminine is the ideal theme if your website needs to be exclusively women-centric. The theme packs the color and layout combination perfectly and thus can be called as the best feminine WordPress theme that you can find in the market today. This feminine WordPress theme is SEO ready, multi-language and widget compatible. Being integrated with Instagram, the portfolio layout gets a special boost and also comes with authentic signature support. Feminine is fully responsive to multiple screen sizes & smart devices, has three slider options, unlimited colours & advanced typography along with compatibility to WooCommerce. It also comes with three post layout options, header Ad section, single post view feature, 14 custom widgets, AJAX loading, font awesome icons, child theme support, extensive documentation and round the clock support, all of the above at an extremely pocket-friendly price. Tribe was meticulously crafted to help you to create your professional coach website in less time & with absolute ease. Specifically designed for female coaches, you will find all the mandatory features to make your website a successful lead capture asset. Classy design, social media buttons, opt-in forms to catch more leads, banner blocks to promote your products & services and an ‘about me‘ section to introduce yourself and give a face to everything that your products and services are about. The latest upgrade offers you integration to WooCommerce, and among other features, you have 4 footer layouts, 7 page templates, live customizer that kicks the need of coding skills to the curb, 4 custom widgets for About Me, Social, Latest Post & Opt-in Form, more than 30 shortcodes and compatibility to Contact from 7 and there are more of them. Well, let not the same deceive you. Girly is a very stylish blogging theme and is the apt tool on which if your website is based can touch new heights (more of increasing your viewer base). Girly comes integrated with WooCommerce and supports editing via the Live Customizer, multilanguage, RTL & SEO ready, custom backgrounds are some the features that when implemented with creativity and can make your blogging website stand out. Girly also offers mega menus, 1-minute setup packed with demo content and video tutorials, 1-click access to updates along with access to extensive documentation and timely support. The pricing of the three packages which can be chosen based on your need is extremely flexible. So check the Girly out and rest assured you will never have to hunt for a blogging theme ever again. 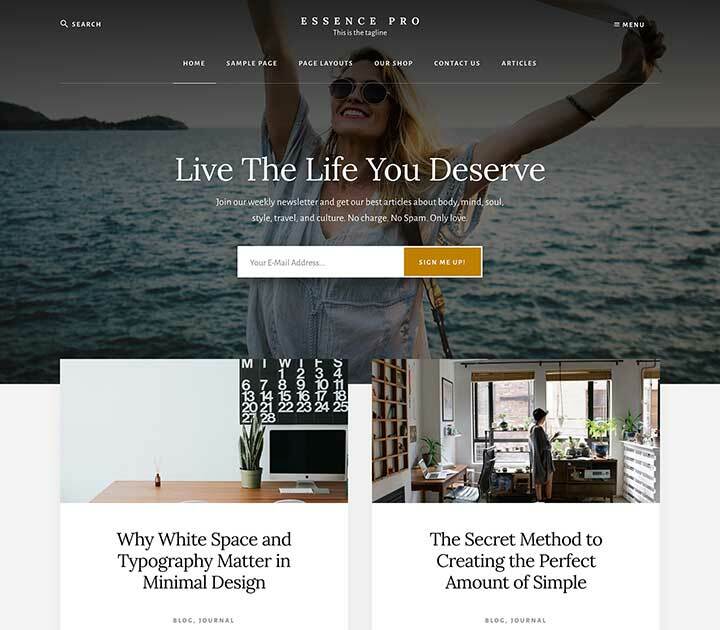 Essence Pro is a delightful, organized theme that can be used for making websites in the health, wellness, and lifestyle craft. The theme is very smoothly designed, both at the exterior and on the back end, allowing it to be used by you with absolute simplicity and your readers can focus on the essentials. Essence Pro also facilitates editing using Gutenberg which makes it a cakewalk for rookie developers and professional alike. The theme is pre-designed for BigCommerce & WoCommerce platforms and has six widget areas to allow customization. Using the theme customizer, you can modify the theme to suit your taste and match your content. Essence Pro is also multi-device responsive, supports multiple languages, has multiple layout options and much more at a very affordable price. Infinite is an editorial WordPress theme. The best part of Infinite is that it loads the content endlessly and effortlessly allowing much more engagement among readers. This feminine WordPress theme is multi-device responsive & comes with a drag & drop page builder, a mega menu to go through the latest contents, a sticky header & sidebar, custom social media share buttons, compatibility to WooCommerce and never-ending customization options using which you can craft detailed websites with absolute ease. The theme supports ads, allows auto update of themes, supports over 600 Google fonts, translation ready. Infinite comes with a host of widgets & shortcodes to facilitate a faster building of websites regardless of coding knowledge of the individual. You can also add custom CSS to make your themes without altering the parent theme. 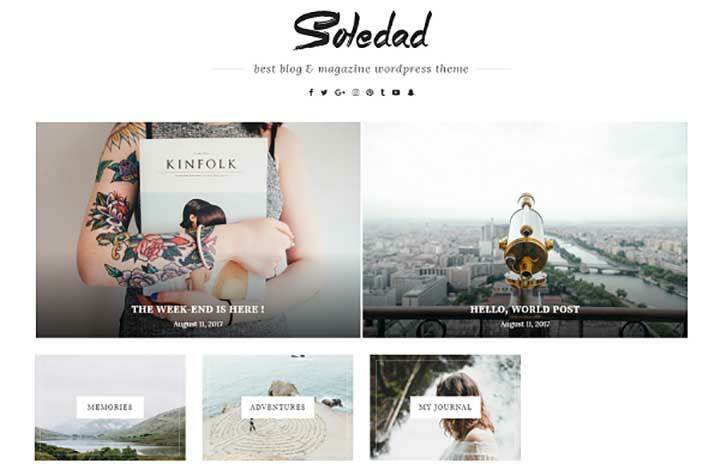 Soledad is a multipurpose WordPress feminine theme that can be used to design blog, magazine & newspaper websites. With its upgraded version, the theme is bigger, faster and a whole better. You get access to over 5000 demo pages upon purchase, and the installation is just one click process. You also get over a thousand slider, blog & magazine layouts to unleash your creativity. You also get multiple single post layout for different types of content. Soledad also supports WPBakery page builder. Apart from the above, Soledad gets three sidebar & 6 portfolio layouts. Has compatibility with BBPress & BuddyPress and also has 36 slider styles with some lovely features, WooCommerce compatible, comes with a Pinterest & Twitter widget, unlimited colours, get RTL support, multiple mega menu styles, featured video background, demo layouts, detailed documentation, dedicated and fast support for any issue you might face. Need a fashion industry-centric theme, I present you, Kloe! This elegant theme is curated for everyone in the fashion industry. Kloe comes with everything you need if you run a fashion business, lifestyle blog or model agency. Kloe is packed with a very diverse and appealing set of portfolio styles ideal for introducing your models, showcasing fashion brands, projects or services. The admin interface of Klow is very powerful and allows very intricate customization inside the theme ensuring that your final website is a treat to the eye of the viewer. To do such miracles on this theme, the coding skills are pretty close to “zero”. This feminine WordPress theme comes with a wide range and page, layout, header, image/video slides, logo versions, side areas, video background sections, 600 Google fonts and more. 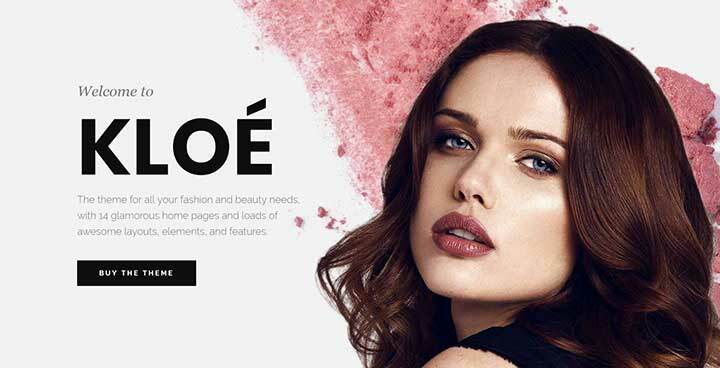 The feature list is long enough for me to give up on counting, but if you are in the fashion industry and search of a theme for your website, my friend, you don’t have to look any further than Kloe. Ultra is the brainchild of the Themify team. The powerful and flexible nature of this theme allows you to create any kind of website in no time. Ultra in its upgraded avatar comes with design skins and pre-made layouts. All you have to do is press one click, and that imports the demo setup that includes theme setup, content, menus, widgets and a whole lot of other kinds of stuff. If you are a developer armed with the Ultra theme, then building a website for an agency, restaurant, eCommerce, lawyer, wedding, fitness, spa, games, accountant, photography, education, music, etc. is just a few minutes away. This feminine WordPress theme now comes with a progress bar, countdown timer, contact form, WooCommerce compatibility, pricing table along with 60 pre-designed layouts, 17 header page styles, 5 single post layouts, 6 header background options and preset typography options, 15 preset colors, mega menu, archived layouts, animating colors, image filters, portfolio and a well of other features that you can put to good use on any website that you wish to design. 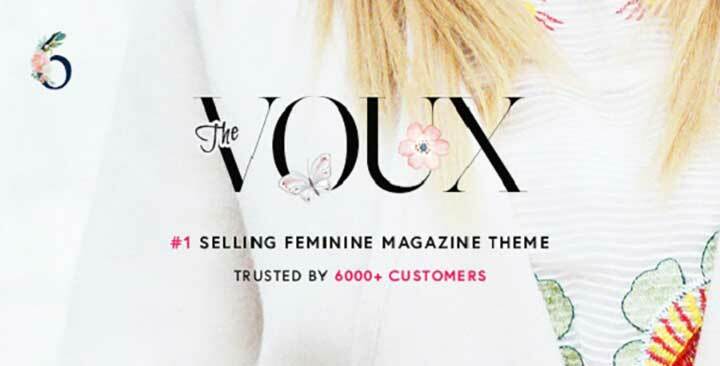 The Voux is a comprehensive magazine WordPress Theme. The Voux has been designed with meticulous attention to detail. You will find five beautifully crafted homepage styles to get you up and running without any coding and in no time. Of course, you can simply create your pages with the standard Page Builder; Visual Composer included in your purchase. Coded to the highest quality standards, The Voux undoubtedly is fully Responsive for current generation smart devices and will scale up with regards to pixel perfection even on Retina Ready Screens. 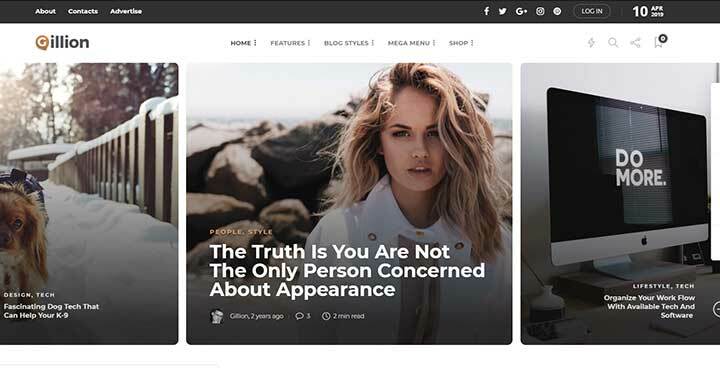 This feminine WordPress theme offers you eight unique header styles, comprehensive social sharing experience, screen adaptive images, beautiful article pages, WooCommerce compatibility, video monetization features, impressive gallery styles, and a lot more exciting features and all of these without a deep dent in your wallet. CheerUp is a theme with luxurious design characteristics, made to portray exceptional content on all kinds of blogs and minimal magazines. The built-in modern design choices are not only aesthetically pleasing, but it’s also packed with over 1000 possible layout combinations suitable for blogs and elegant magazines. Cheer Up now comes with the AMP plugin which makes it extremely easy for the pages to load effortlessly in mobile devices. A full search screen page, dynamic look option for all post layouts, unique slider, header & footer styles, 12 unique layouts, compliance with GDPR, social media sharing compatibility, drag & drop page builder, WooCommerce compatibility, multiple pagination styles coupled with extensive documentation & impeccable support is bound to cheer you up the moment you get your hands on this theme. Divi is in very powerful, fast & highly intuitive drag & drop front end editor. The theme updates your customization instantly into the website thus cutting out the lag time. 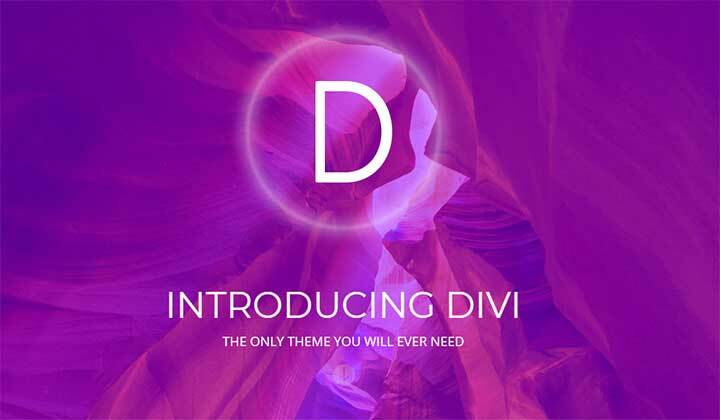 Divi is extensively customizable & has a prompt response to editing. It comes with a wide variety of content elements to unleash your creative ideas, import/export settings, over 20 pre-made layouts and very negligent loading time. Divi’s exciting feature list comprises of an audio player, bar counter, blog,buttons, codes, comments section, contact form, email opt-in, filterable portfolio, gallery, image section, portfolios, navigation, post slider, sidebar, social media sharing, sidebar, tabs, testimonial section, video and a lot more. All of the above, combined with an ever growing community to share information, a dedicated support system and moderation of client control access. 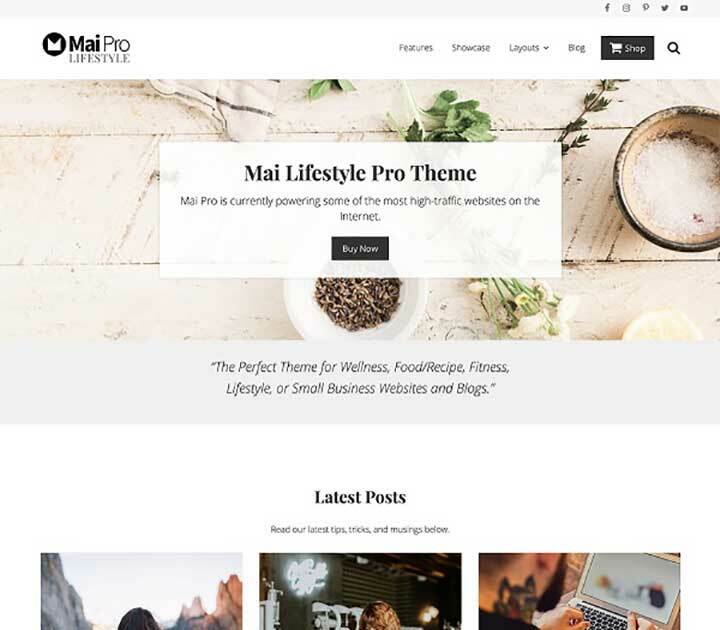 Mai Lifestyle is a meticulously crafted theme that can be used for making websites in the wellness, food/recipe, fitness & lifestyle-centric websites. This feminine WordPress theme is very smoothly designed thus making it very easy to use, both at the exterior and on the back end, allowing it to be used by you with absolute simplicity and your readers can focus on the essentials. Mai Lifestyle also facilitates editing using Gutenberg which makes it a cakewalk for rookie developers and professional alike. This cute WP theme is pre-designed for WooCommerce platforms and has six layout options to allow customization. Using the theme customizer, you can modify the theme to suit your taste and match your content. Mai Lifestyle is also multi-device responsive, supports multiple languages, has multiple layout options and much more at a very reasonable price. Gillion is a multipurpose theme that can be used to create beautiful themes for fashion, personal, food, tech, lifestyle and more. 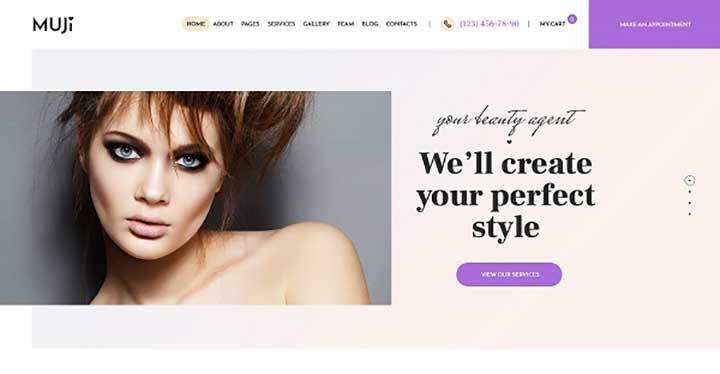 This feminine WordPress theme offers more than 50 modular elements, one-click installation and updates, integrated social widgets, optimized for mobile & WooCommerce, over 15 demos layouts and blog post options in standard text, audio, video quote, etc. That’s not the end of it; you get multiple header options, bookmarking options, open post & slider layouts. The editing on the theme is done via drag & drop builder and it is hassle-free to navigate. Gillion is also SEO optimized, and it is also integrated with MailChimp. You also get six unique post formats, five exciting blog layouts & over 12 custom widgets. These are some of the features that pack a punch when it comes to enhancing your website and make it appealing to your users. There are a lot more features packed in Gillion which when put to efficient use and can create an amazing website for your business. 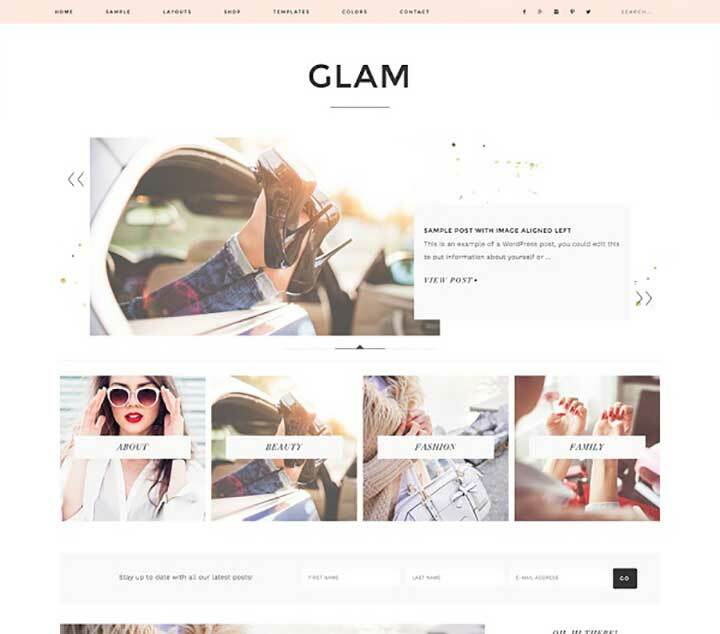 Glam Pro is a charismatic, organized theme that can be used for making websites for multiple websites and industries. The theme is very elegantly designed, both at the exterior and on the back end, allowing it to be used by you with absolute simplicity and your readers can focus on the essentials. Glam Pro also facilitates editing using the theme customizer which makes it a cakewalk for rookie developers and professional alike. The theme is multi-device responsive, comes with three layout options widget areas in the homepage and footer section to allow customization. Using the theme customizer, you can modify the theme to suit your taste and match your content and spice it up for the global population with the translation ready feature. Glam Pro also has multiple layout options and much more at a very affordable price. 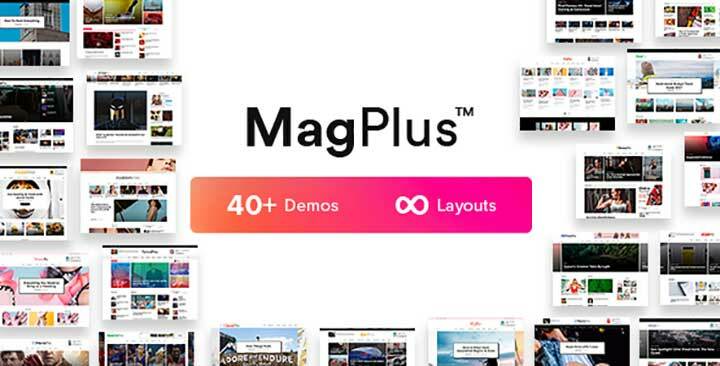 Magplus is a magazine and blog-centric WordPress theme. Getting down to the features, what we have in store for you is over 40 demo layouts making your page making and customizing expeditions a walk in the park, RTL support for specific languages such as Arabic — optimized for Gutenberg, SEO, translation (WPML) and Ad-Sense and a lifetime of updates at your disposal. Checking out some of the intricate features of this theme, we have compliance to GDPR, AMP plugin to enhance loading speed in mobile phones, unlimited layouts, seven premium plugins which you get for free, more than 12 header designs, multiple unique article layouts & over 20 slider designs. No, we are not done yet. You also get some exclusive widgets, options such as a featured blog, hand-picked blog, gallery showcase, progress bar rating, slider content, YouTube video playlist and more. Muji is a delightful, contemporary girly WordPress theme that can be used for making websites in the wellness services, spa agency, yoga, hair salon, massage services, etc. The theme is very smoothly designed, allowing it to be used by you to craft websites like slicing butter and your readers can focus on the essentials. Muji also offers two premade layouts which are very to customize for everyone. 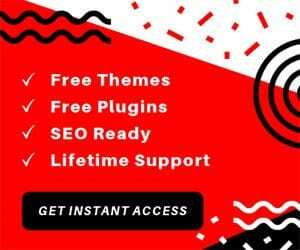 The theme comes with some popular plugins such as Elementor, Slider revolution, essential grid, contact form 7, GDPR compliance, MailChimp, WPML and TRX addons. You also get eight different blog layouts to post your content so its time you start experimenting with creativity. The images displayed using Muji are auto-adaptive to multiple screen sizes. For the services you render, you also get the online booking feature, and Muji also comes integrated with the most popular social media platforms. 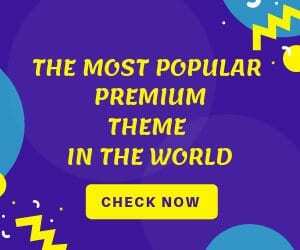 There are more features in the store which make this theme the most appropriate theme in the market and at a very pocket-friendly price range. 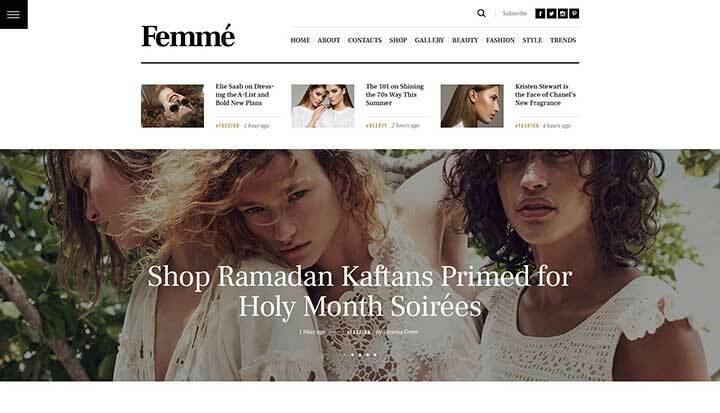 Femme is a Fashion Blog WordPress theme which itself is very fashion oriented. It is beautiful, stylish, classy, elegant and is crafted for an aesthetic lifestyle magazine, online fashion, fashion blogger, fashion editor, style trends blog. The capabilities of Femme don’t end there, it also fits health & beauty shop, brand design & healthy lifestyle blog, women skin care, girls hair care, nail care blog and girl makeup blogs. 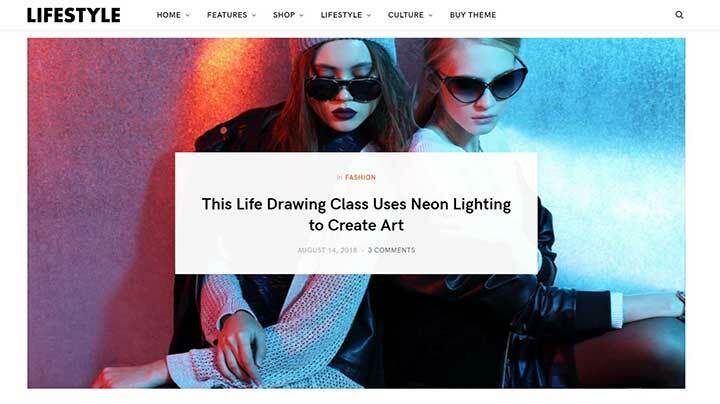 This feminine WordPress theme comes with three breath-taking layouts, contact forms, WooCommerce Compatibility, gallery and Instagram Feeds, shortcodes, Google Maps, and Google fonts are some of the features which when unleashed can potentially skyrocket the presence of your website in the digital world. You can edit using the drag & drop page builder, get updates automatically, a powerful interface, parallax effects for the background and a wide array of plugins. Check this theme out by clicking on the link, and you will know why I call Femme WordPress theme as an enchantress. Any Other Girly WordPress Theme? These were some of the popular WordPress themes that can instantly bring the feminine touch to your site. We hope you loved the collection. Let us know your favourite one in the comments below.